Lately I have been in a candy mood. I swear I have dreams that I eat candy! I wake thinking just how good that sugar was. But since my body doesn’t process sugar so well, I am glad I only ate it in my dreams! My dreams are often really vivid. I remember scents, dress code, people, weather, taste-and I actually feel like the dream is reality. So when I ate those sour patch kids and chocolate in my dream, I woke up thinking I actually had. I woke up as if I had just finished chewing it. It was wild! So I opted for my Tootsie Roll smoothie day 2. But this time, I needed it a tad sweeter, so I added in some extra raw Cacao powder, a few drops of liquid Stevia, a tad more avocado, some more Maca Root powder and a small handful of organic frozen blueberries. I used some Goji Berries (superfood) as a garnish. It was so delicious to eat those last! It was perfect! 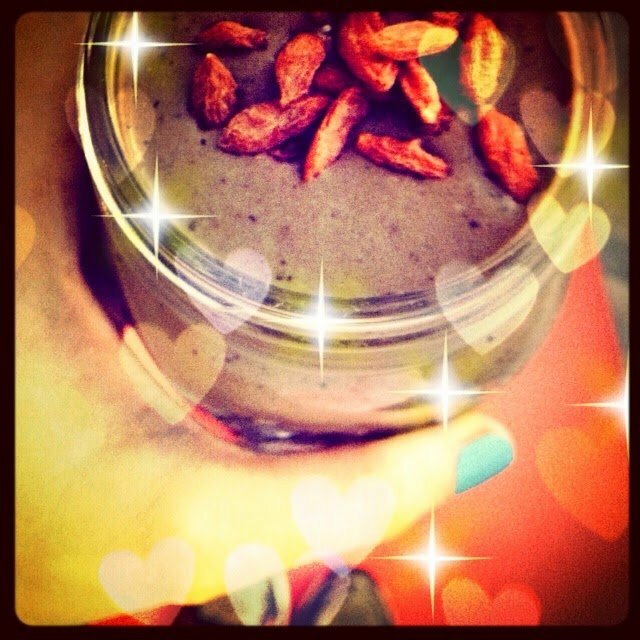 **Smoothies are a great way to get your probiotic in! You don’t taste it. I have a probiotic that is a powder. I simply add the daily dosage amount into the smoothie. No need to freak if you can’t afford Organic, and It’s just not your jam. Use what you have and get those nutrients in your body! : ) We all start somewhere. 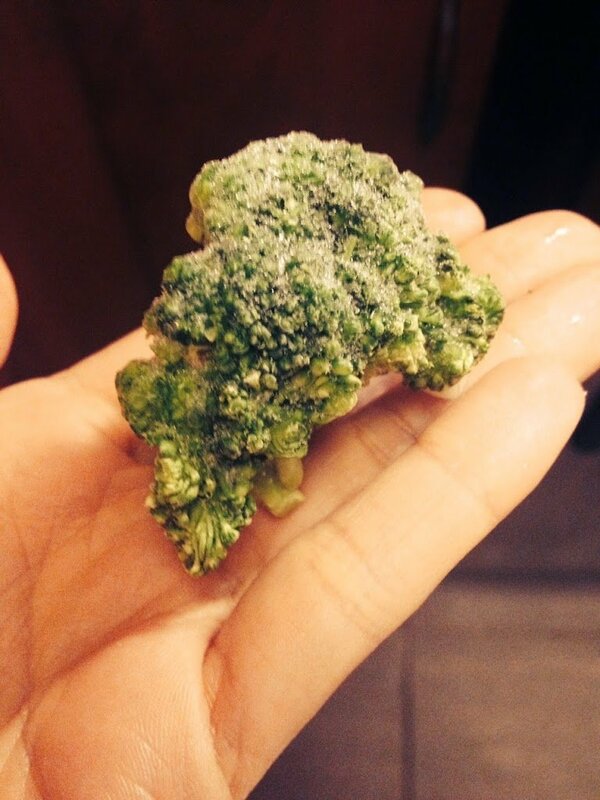 In case you are wondering what a large Broccoli floret looks like here is a pic. You can always even go bigger! But don’t go smaller. 1. In a Nutribullet or high speed blender add everything minus the ice. At this point you would add the probiotic. Blend, blend, blend. 2. Blend until there are zero veggie particles. You don’t want to chew your smoothie. **If you enjoy a super thick smoothie then add more avocado.